I am very tardy in introducing this book to you. I've known of it for some time as it was written by Holger Gross, a friend of Scott Hedges, my co-author in the Letters from Sweden series. 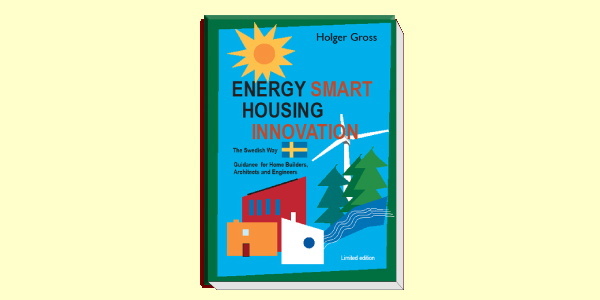 In this book Holger makes a thorough introduction to many of the techniques and products used in Sweden to create energy efficient houses. Holger comes from a structural engineering background but spent a large part of his career in the timber framed housing industry. He has since written several books as consumer guides to home ownership and condominium ownership. This book takes a consumer guide approach to explaining the ins and outs of energy efficient house building. You will find first a background on Swedish housing and energy use, and basis for what has driven Sweden to refine their techniques for building efficient housing. He continues to outline conceptual approaches for improving performance, and then launches into a detailed look at the various components of building. With as much ground as he covers its simply not possible to get into each area at a significant level of detail. But the widest net is cast here to cover the bulk of concerns and make a good introduction. There will be many techniques that are completely alien to US builders and this is a good way to jolt you out of the well worn groove we build within. Furthermore anybody who gets this book and wants to discuss any aspect of building they see within, we are ready to help share what we know, or point you towards resources for more information. Aside from the Living Area I don't have direct comparisons for energy use in the US. I suspect that direct comparisons of energy use would not be particularly useful unless the US data was isolated by region. Only a small portion of the US has a climate similar to Sweden, and unless the comparison was for reasonable similar climates its not possible to draw any conclusions about the relative efficiency of Swedish houses and American houses. Further complicating a comparison is that as Swedish housing has become more efficient their energy sources have turned over to being primarily electricity. By comparison in the US homes in colder climates often rely on oil or natural gas, and in fact often use less electricity per home than souther regions which do not have high heating costs, but use more electricity for cooling. The best comparison can be found in Coming In From the Cold, previously mentioned, although this study was done in the 1980s and does not reflect current data. Still, its encouraging to see that the average size of the Swedish home is 1550 sqft, about 1000 sqft less than in the US. Hmmm. 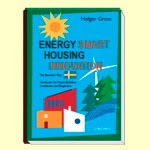 You can order Energy Smart Housing Innovation directly from book vendor Adlibris. 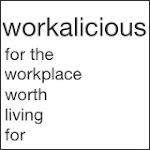 Thanks for posting this -- and thanks for this blog in general. Your willingness to share information is genuinely admirable; too many construction professionals treat good ideas as property, when these kinds of ideas really need to be accessible to as wide an audience as possible. Does the book get deeper into the kinds of details that show up in your Swedish Platform Framing? Or is it more general concepts? If this DOESN'T get into specific details, are there any other references (books or websites) you can recommend? You've gone and piqued my curiosity. Holger shows a number of typical details and many drawings of and photos of walls, but they are not "dissected" so to speak to explain exactly how they are put together. Its because he covers much more than walls in the book, and so there is some brevity to each topic. I wish there was some reference book that laid this all out. Scott and I spent a lot of time looking at the information that was posted on dozens of small and large factory web sites, and photos of the houses they were building to gather this information. Sometimes I think that we need to write that very book. How and where may I buy Mr. Holger's book? There seems to be no connection from his website and the web does not seem to know about his book. You are correct. The online purchase page for the book seems to no longer be posted. I'll update the link when there is a new location to purchase the book. I've updated the links. Holger is rebuilding his web site, but in the meantime the book is available through online book vendor Adlibris. I'll update this again when Holger's site is complete.